Renee Hill, left, and Hope Hill participate in a demonstation of what it's like to be blind. 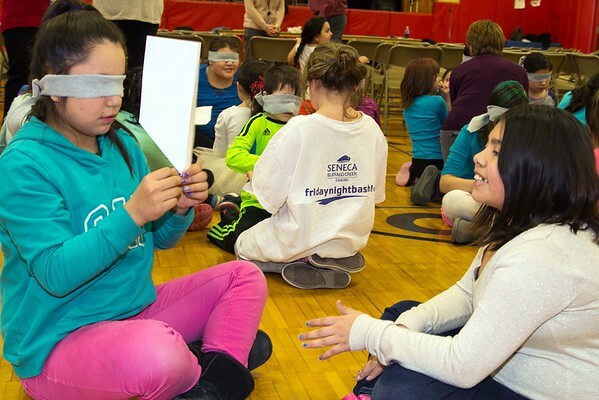 Half the students at the Tuscarora Indian School were blindfolded while the other half were designated as their helpers. The blindfloded students were given a sheet of paper and followed commands on how to fold it.